Sean has also appeared on Ant and Dec’s Saturday Night takeaway, as well as fronted a variety of factual programmes and documentaries like BBC Two’s Food Detectives, and Wales and the Slave Trade. Sean also unearthed and re-told a story of an ordinary couple who ended the 1960 racist marriage law in the USA, in a BBC programme called ‘Loving vs Virginia’ which was shortlisted for the ‘BBC World best documentary of the year’ award. Sean is regularly involved in reporting from notable sporting events such as the London Olympics, the Football World Cups in 2010 and 2014 and the Glasgow Commonwealth Games. He’s also been known to get involved himself – having run the London Marathon three times and played for the ‘Rest of the World’ in ITV’s SoccerAid. Sean’s career in television began in 2001 when he moved from radio, to present sports bulletins at BBC Wales. He then started reporting on news and sport stories for the BBC News Channel, BBC World News, BBC News at One, BBC London and BBC Breakfast. 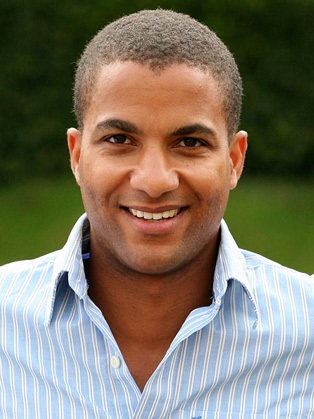 By 2011, Sean made the decision to move to Sky Sports News and Sky News before leaving for his current roles at ITV and the BBC in 2014. Sean went to school in Essex, and following his degree in geography from King’s College in London, Sean trained as a music producer before beginning a career in journalism in Cardiff for BBC Radio Wales. He moved to London and worked behind the scenes of Radio 5 Live for several years, before he moved back to BBC 2 Wales and presented and reported on sport for ‘BBC Wales Today’ before going into television.